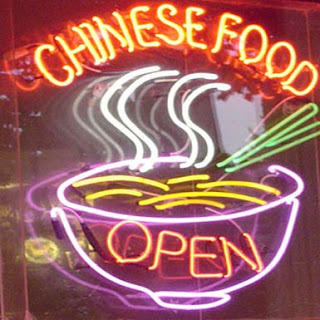 Gluten Freeways: Miss Eating Chinese Food? After I was first diagnosed in June 2005, I went through a period of shock. Every day I was shocked by the foods which contained gluten. Blue cheese? Put me on the couch for hours in agony after I didn't check the label. Tea? I didn't think that a collection of herbs could make me feel so terrible. What I was most surprised by was wheat in soy sauce. I never would have thought to look at it; luckily an older and more experienced Celiac warned me of the dangers of eating Chinese food because of the soy sauce that is so prevalent in the food. I was horrified -- I had loved Chinese cuisine before! Admittedly it was something I was still new to in June '05 (previously being a very picky eater) but I was become a bigger fan with each Chinese meal. But then I found out that P.F. Chang's had a gluten free menu. Initially I was hesitant, not believing that a chain restaurant could successfully make delicious gluten free meals. I was very wrong. Every time I have eaten at P.F. Chang's I have been very happy with the quality of the gluten free food. Every waiter has been unbelievably helpful, the restaurant always has gluten free soy sauce available, and the delicious are delectable. I always go for the Chang's Chicken Lettuce Wraps, Moo Goo Gai Pan, and then end with the flourless chocolate dome for dessert. I'm also a fan of the ginger chicken with broccoli, the cantonese shrimp, the... who am I kidding, I love everything here! The items on the gluten free menu are also on the normal menu, and when I've taken (read: forced) friends to eat at P.F. 's with me they don't notice a difference when they order from the gluten free menu. Here in L.A. I've only been to the location on La Cienega at the Beverly Center. It's a wonderful place to have dinner after a long day of shopping through the luxury stores! The best part is, all food is served family style so the more friends you take the more gluten free sampling you can do! Enjoy! I added you to my blogroll too. I love PF Chang's. I joke that I would like to live across the street from it so I could finally have takeout! 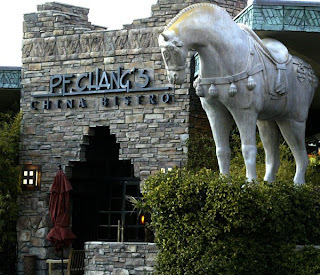 I have a PF Chang's poll at the bottom of my blog. Checkout http://surefoodsliving.com/ She is in CA too.